International holiday season bring a lot of opportunity for every one to get best deals and prices in almost any thing they want to have or enjoy. One of the most famous day of this season is Black Friday where you can get mind blowing reduction in prices in clothes, shoes, cosmetics and other house hold things. In Pakistan this day was not much well known few years ago but it has become quite sought out recently. 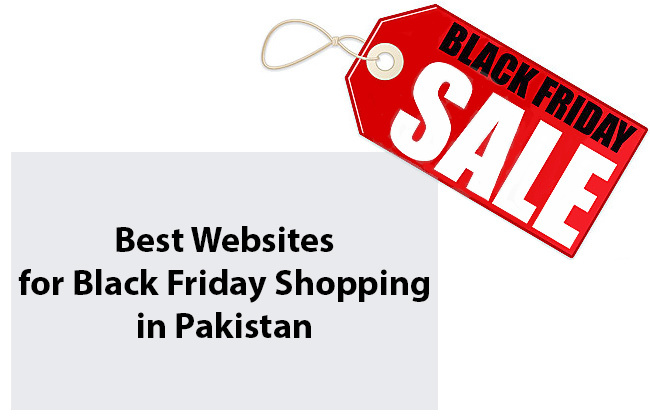 Today i am going to share some websites for Black Friday shopping in Pakistan. 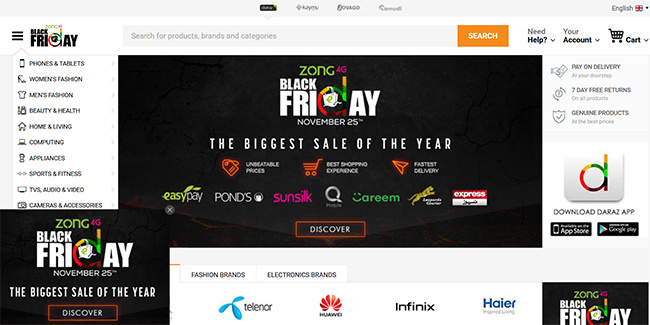 This online store is one of the biggest store in Pakistan which sells clothes, home appliances, computers, phones and almost every thing you can think of and is one of the first one to offer Black Friday offers in Pakistan. They also have exclusive pre sale offer from 22 to 24 November prior to the big day on 25. They are also offering discounts on some selected bank and other payment methods but you can still get cash on delivery option if you want. This website offers best prices and sells mainly clothes, fashion accessories and perfumes. They provide latest fashion and trends and keep their options up to date. This year they will also be offering up to 50% sale on their different products. The sale will be on 25 Nov and if you have your eyes on some items then be ready so they wont sell out quickly. This online store is very famous to buy cosmetics and beauty products which is working for many years in Pakistan. This store brings many famous international makeup brands which are not easily available here. On 25 Nov they will also be offering Black Friday sale on many products so if you are keen on buying some great international makeup products then this will be perfect time to get them on reasonable price. Do you have any plans for this day? What is your favorite place for shopping on Black Friday?